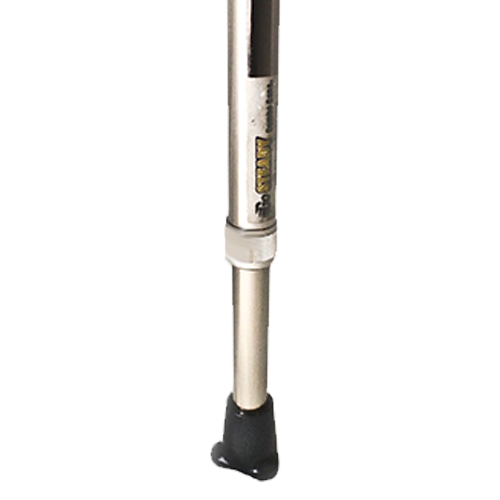 The exclusive balanced shaft as a result of unique in-line positioning of the Grooved Grip and Tuffi-Tip® combined with the strength of aircraft aluminum make for ultimate safety, security and comfort. 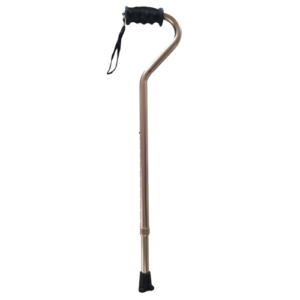 The patented Tuffi-Tip® and Grooved Grip truly define Go STEADY®’s Comfort Cane. 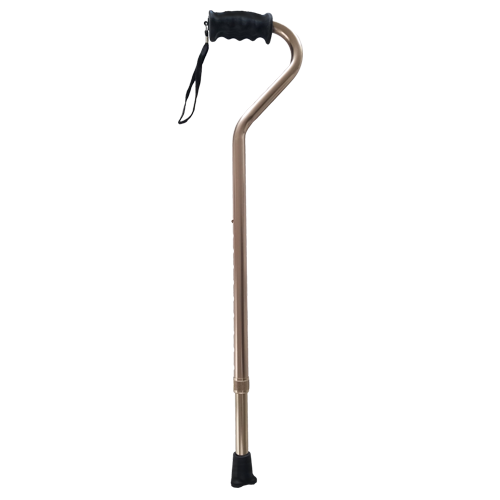 The key benefit of the Comfort Cane is the comfort and stability of the Tuffi-Tip® which coheres to virtually any surface reducing the risk of falling and enhancing mobility, security and confidence. 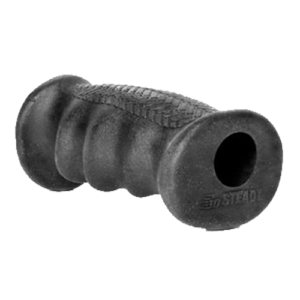 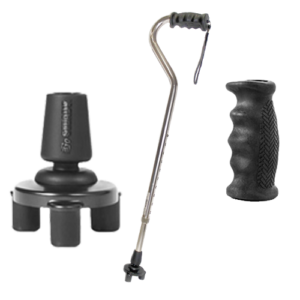 The ergonomically designed Grooved Grip combines softness and comfort of a larger surface area for better control and easy hanging. 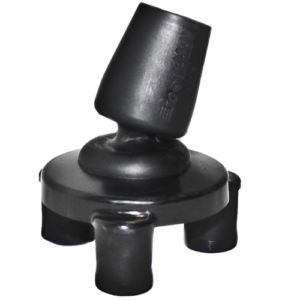 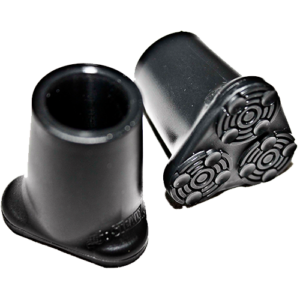 Both components are made of thermoplastic material (not rubber) which eliminates odor and extends wear. 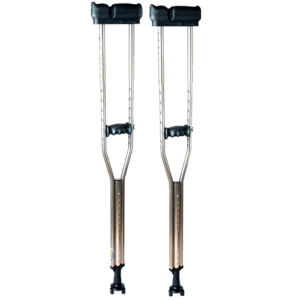 The sturdy, balanced aluminum shaft (fashionable in gold color) increases stability unlike standard offset canes and supports up to 300 lbs. 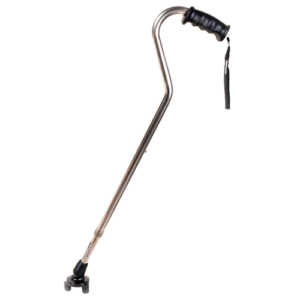 The Comfort Cane is adjustable from 29” to 38” in length (grip to floor) and is available with a regular (S/M) or L/XL size Grooved Grip.